After spending almost one full day in the wonderful dream factory of Babelsberg Film Studios, we are too tired to do anything else than taking the train back to Berlin. Although the to-do-list for the day was slightly complex, we preferred rather to delay all the priorities for a new trip, maybe when the weather is better. A couple of days after, here we are, back to my favourite part of Germany. This time, we avoid the urban area and the tempting coffee houses as all we want to do is hiking. 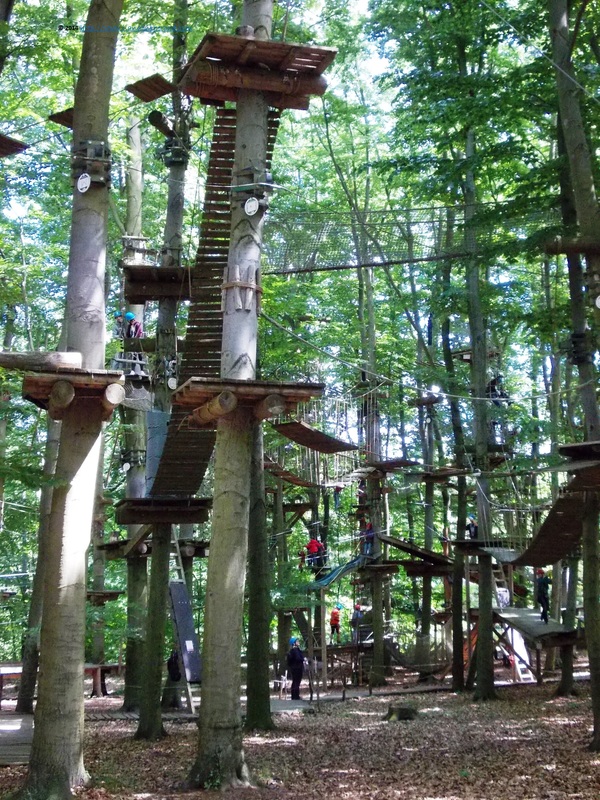 The first stop, almost 15 minutes away from the train station, the climbing park - AbenteuerPark. 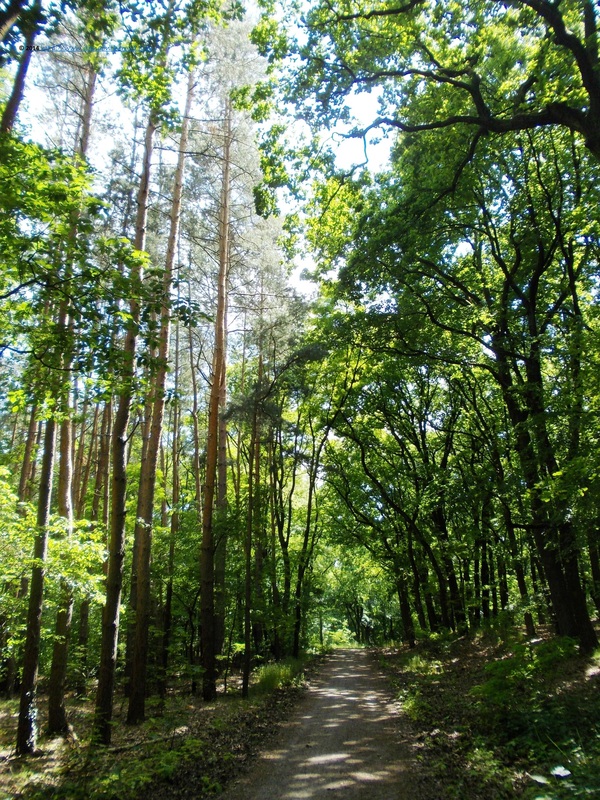 We are near the Wissenschaftpark/Science park, an area with many interesting science institutes, going fast forward in the woods. Joggers and bikers are outstripping us, but we just walk, enjoying the pleasant ride and the fresh air. Wooden tables and chairs are inviting the exhausted explorers to stop for a pick nick or a stop. Maybe the next time. As we arrive in an open field, we hear voices amplified by megaphones and we are sane enough to stop and figure out what is going on. It is not an illusion, but something is going on and maybe we would like to join the party too! We see a high yard and a brown bricked building and curious, we enter through the gate. 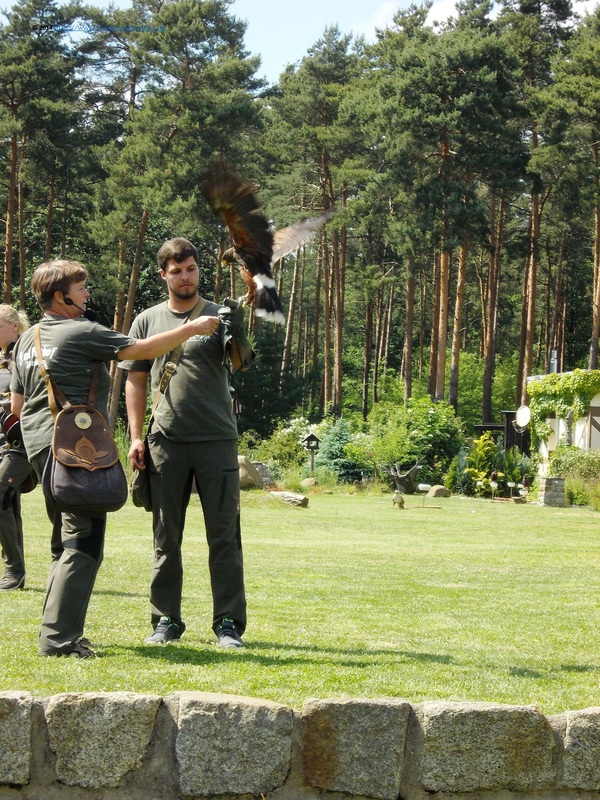 A man hurry us to a small arena, where we sit on benches watching explanations about eagles, hawks and owls. The explanations, in German, are giving insights about the behavior, eating habits and mood of those birds. 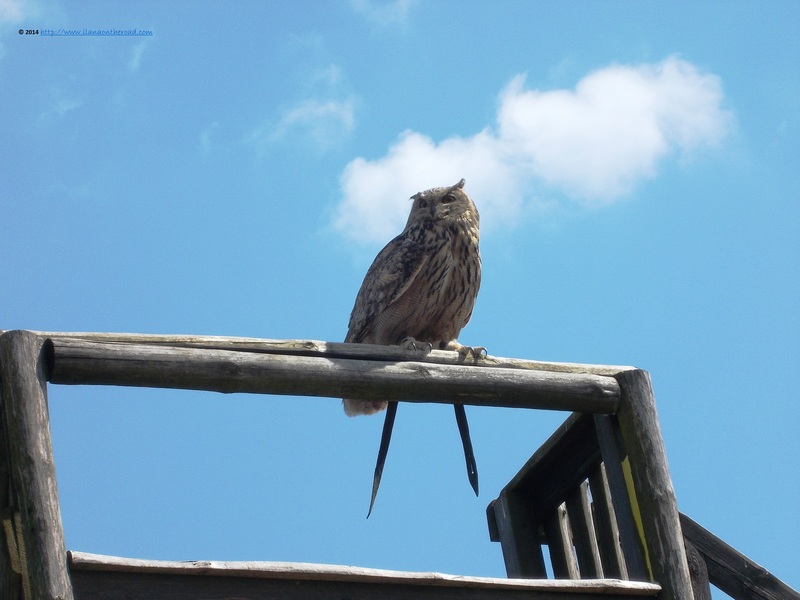 We are told, for instance, that the feather up on the head of the owls means that they are in the good mood. Hopefully, the ones we are showed are happy ones, otherwise I don't know how I would have react seeing them flying centimetres away from my head. All the birds from Falkenhof - the name of the place we arrived by accident - are well trained and friendly and recording them on video is uneventful. 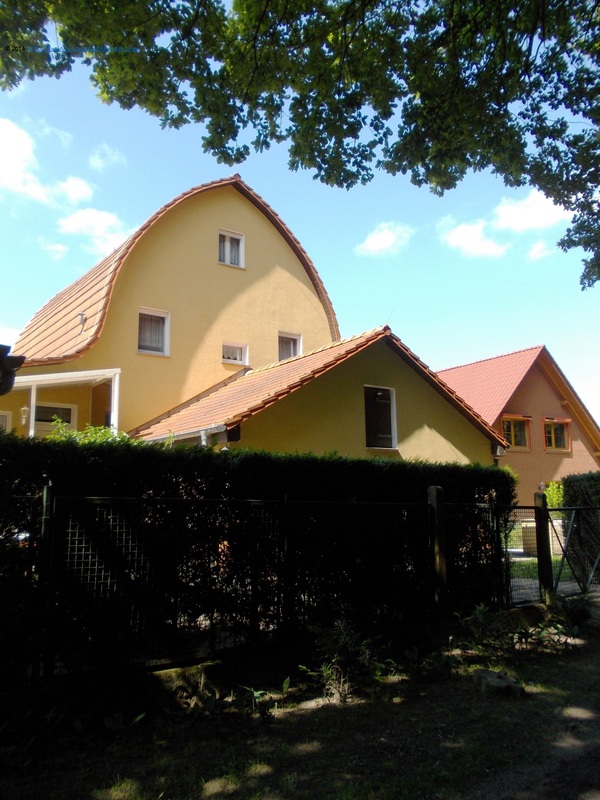 Back to the city - as we apparently went a bit lost, but it was for a good birdy adventure though - we pass the Am Wald street bordered on one side by houses with interesting roofs - reminding me of some interesting sample of architecture in Bad Saarow and on the other side by the forest. At least during the summer, it is good to live here. We are back at the Central Station area and we go again till the Wissenschaftpark/Science park. Science and research are well appreciated in Germany and very often the research institute benefits of important funds and also interesting architecture. Several institutions, among which of Astrophysics, Weather observatory and also Physics are hosted here. It is situated on the Telegraphberg - the Telegraph mountain - an important standpoint in the newly telegraph line created in this part of Germany at the end of the 19th century. 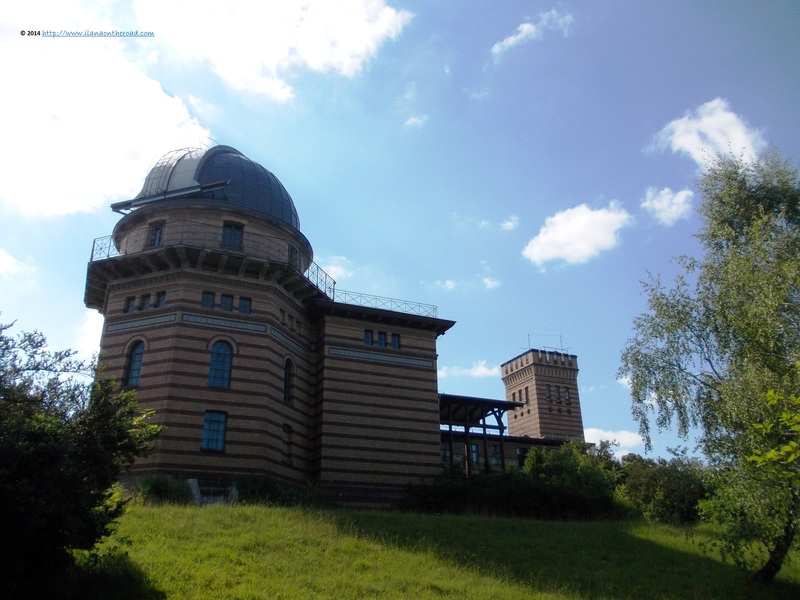 One of the most famous buildings on the Telegraphberg is Einstein Tower. 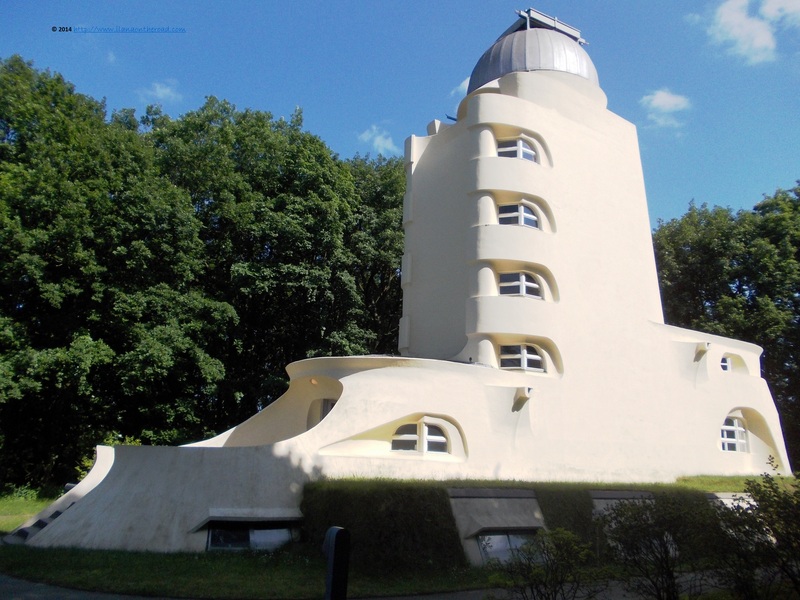 It was designed by the architects Erwin Finlay Freundlich and Erich Mendelsohn and was aimed to demonstrate that Einstein's theory of relativity doesn't work. Even though the experiment failed, the building remained and it's nowadays often visited by tourists. The science park was given the name of Einstein, who lived for a short while also close from here, at Caputh. I never leave Potsdam with an easy heart and after so much walking and many interesting discoveries, I want to stay a little bit more. The Latino open air bar El Purto, near the harbor, is my last stop. After a crème brulée and a coffee, I am ready to go. But promise to be back soon. 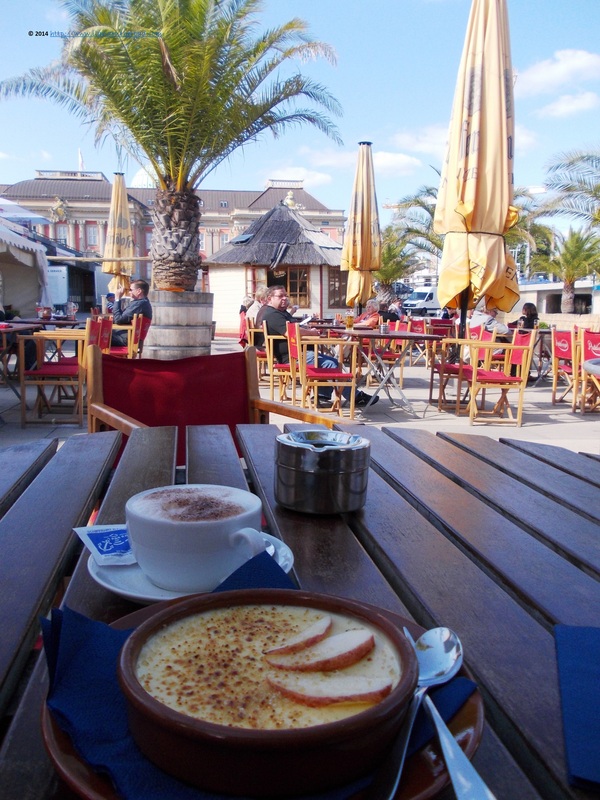 The memories of the summer in Potsdam always keep me warm during the long winters.